Karen Joy Fowler has made a career out of examining, and playing hopscotch with, the boundaries between genres. Her first novel, Sarah Canary , remains a famous edge case in arguments about the definition of science fiction, and an early example of outsider SF—mainstream novels using the tools and tropes of the genre to tell a naturalistic story (though the term outsider is perhaps inappropriate, given that at the time of its publication Fowler had been selling short stories to science fiction markets for some time). Her 2002 short story, "What I Didn't See," a response to the James Tiptree Jr. story "The Women Men Don't See" which also draws on events in the life of Tiptree's mother, Mary Hastings Bradley, caused a stir when it won the Nebula award despite containing no genre elements. In 2004, Fowler surfaced into mainstream popularity with The Jane Austen Book Club , in which the lives of the titular book club's members parallel the events of Austen's novels. Book Club tapped into Austen's perennial popularity, as well as that of chick lit, a genre heralded by another retelling of one of Austen's novels, and accordingly spent some time on the New York Times bestseller list, as well as being made into a movie. It shares, however, as many similarities with Fowler's other, more playful novels as it does with Bridget Jones's Diary , overlaying its lighthearted and romantic elements with literary criticism. The character who parallels the insufferable meddler Emma in one chapter plays the dreamy yet equally meddlesome Mr. Darcy in another; Louisa Musgrove, a minor character from Persuasion whose silliness and romanticism are set in stark contrast to the heroine's level-headedness, is embodied by the same character who also plays the part of Sense and Sensibility 's silly and romantic heroine Marianne Dashwood. 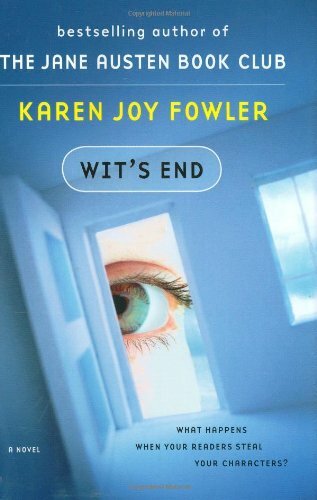 Four years later, Fowler returns with Wit's End (which, in the UK, has been repackaged with the cutesy title The Case of the Imaginary Detective , and an equally cutesy cover quite obviously meant to recall that of The Jane Austen Book Club and appeal to its devoted readers), which once again seems to tell a story in a popular genre—this time, detective fiction—while simultaneously poking at that genre's seams. Rima Lanisell is a young woman with, as the narrative puts it, a penchant for losing things—wallets, car keys, "One long-term boyfriend. One basically functional family." (p. 8) Having lost her mother to an aneurism in her early teens, her brother to a car accident several years ago, and her father to cancer just recently, Rima, depressed and out of sorts, accepts an open-ended invitation to Wit's End, the Santa Cruz house of her godmother, the famous mystery writer Addison "A.B." Early. Rima arrives at Wit's End brimming with questions for her godmother, whom she has never met. Were Addison and Rima's father lovers? Why did Addison name a character in one of her novels after Rima's father, and why make that character, the most famous antagonist her fictional detective, Maxwell Lane, would ever face, a wife-killer? Was that the reason for the estrangement between them? Once at Wit's End, the mysteries proliferate. Rima discovers fan letters addressed to Maxwell Lane which claim that her father's namesake was innocent of the murder Addison ascribes to him. A mysterious woman using the name of another of Addison's characters begins stalking Rima. Addison turns out to have a connection with a local white supremacist cult, to which Maxwell's correspondent also belonged, having arrived there after the dissolution of an older cult whose members were promised immortality by their leader (a concept which seems to have caught Fowler's fancy, as she used it as the premise of a short story, "Always," which was published in Asimov's last year and went on to win her another Nebula award). Both cults appear to have influenced the one in Ice City , the novel in which the fictional Bim Lanisell appears and murders his wife. But then authorship, its appeal and its changing definition, is at the heart of Wit's End , and as the novel makes clear, the impulse to write, whether in one's own invented universe, in one created by another writer, or even in the real world, is universal. Addison is fiercely protective of Maxwell Lane, disapproving strongly of fannish appropriation of him, but by the time the novel starts Lane is much larger than she is. To Rima, as well as to his fans and correspondents, he is more real than Addison, and the author-approved fictional version is often swallowed up by the communal perception of him. The same goes for the fictional Bim Lanisell, and the real one, who in his own life was engaged in another form of authorship. A newspaper columnist, Rima's father mined his children's lives for anecdotes, and spun them into stories in which he appeared knowing and wise, "awash in Midwestern profundities." (p. 12) Rima herself is not innocent of this retroactive editing of reality. Early in the novel, she tearfully tells Addison's dog-walker, the college student Scorch, who has been talked into taking her out for a night on the town, about her brother Oliver's senseless death at the hands of a drunk driver. Scorch leaned closer into the mirror, turning her head from side to side to see the braids she'd made out of soap and hair. "Wasn't the drunk driver Oliver?" she asked. All of these observations and musings, however, are made in a novel whose structure and tone work hard to create in its readers expectations of the standard tropes of the mystery novel. Though it obviously isn't fair to accuse Fowler of mishandling these—when the heroine is confronted in the dead of night by her deranged stalker, only to be told something the readers have known for dozens of pages and sent, unharmed, on her merry way, it's safe to assume that we're being deliberately messed with—neither do her games with genre expectations result in a wholly satisfying reading experience. "What was missing in Rima's life was structure," (p. 209) we're told, and whether or not this was intended as a meta-statement it certainly applies to Wit's End itself, which shifts fitfully from one plot strand to another, never allowing any of them to advance to any great degree, and often abandons all of them for the sake of a non-sequitur (after the results of the elections are made known: "A man on a recumbent bicycle pedaled past. He was shouting like the town crier. 'The Ring-bearer has fulfilled his quest! Frodo has destroyed the Ring!'" (p. 93) Which among other things is inaccurate). It's hardly uncommon for mystery novels to use mystery plots as a prop for the author's actual focus. Kate Atkinson, for example, made a big splash in literary circles a few years ago with Case Histories , in which she hung meaty, thoughtful character exploration on a relatively unexciting mystery scaffolding. In Wit's End , however, that kind of depth is not in evidence. Rima is an appealing character, but not a particularly rounded or well-drawn one. She's not believable as an actual human being, and our emotional connection with her is mainly due to the fact that Fowler has subjected her to such terrible misfortunes. The other characters—Addison, her housekeeper Tilda and her estranged son Martin, Scorch and her boyfriend Cody—don't even achieve that much liveliness. Plotwise, Wit's End feels very much of a piece with The Jane Austen Book Club —a simple, enjoyable, effervescent story in which cleverly-drawn yet clearly inhuman characters suffer a little on their way to an inevitable happy ending. And, much like The Jane Austen Book Club , what Wit's End lacks in depth it makes up for in height. 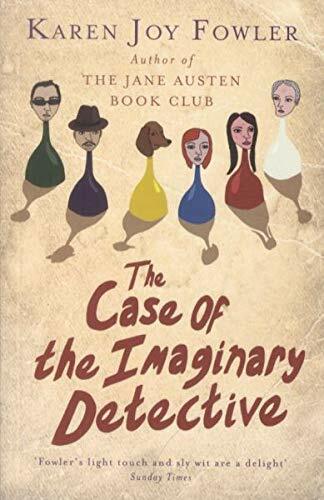 The real life of this novel is lived in the meta-level, in its observations about mystery writing, writing in general, and, as I've already noted, the relationship between an author and her characters, an author and her readers, and readers with their beloved characters. Viewed in this light, Wit's End is an interesting novel, and a cleverly constructed one. It is not, however, particularly intelligent. There's very little that Fowler has to say about authorship in the 21st century, or about the nature of online communication, that hasn't been said already in fan circles. Unlike Pattern Recognition , which so perfectly captured the intimacy and intensity of online relationships, Fowler's recreations of online dynamics, though accurate, are also somewhat shallow and perfunctory. She doesn't delve into the motivations of online fans or the emotional satisfaction they draw from appropriating an author's creation and, on occasion, mangling it beyond recognition. Though online fandom is an important element in the novel, it is viewed from the outside. There is, obviously, a story to be told about a writer's uncomprehending reaction to having her creation appropriated by her readers, but in Wit's End that story takes a back seat to Rima's, and what we see of it is a straightforward not very expansive progression—Addison disapproves of fanfic (and, in fact, of most of her fans); she comes to some accommodation with it and them; the end. For an author as chameleon-like as Karen Joy Fowler, whose novels seem to share no trait except for their resistance to pigeon-holing and easy genre classification, Wit's End feels a little like stepping in place. That's not a bad place, to be sure, and there are worse ways to spend one's time than reading Fowler's witty, enjoyable meditation on modernity and authorship. But it is somewhat disappointing to crack open a Karen Joy Fowler novel, and find more or less what you'd expected.